This knife can take a beating and then some. I only wish it was lighter to make it around 5 ounces instead of 7. 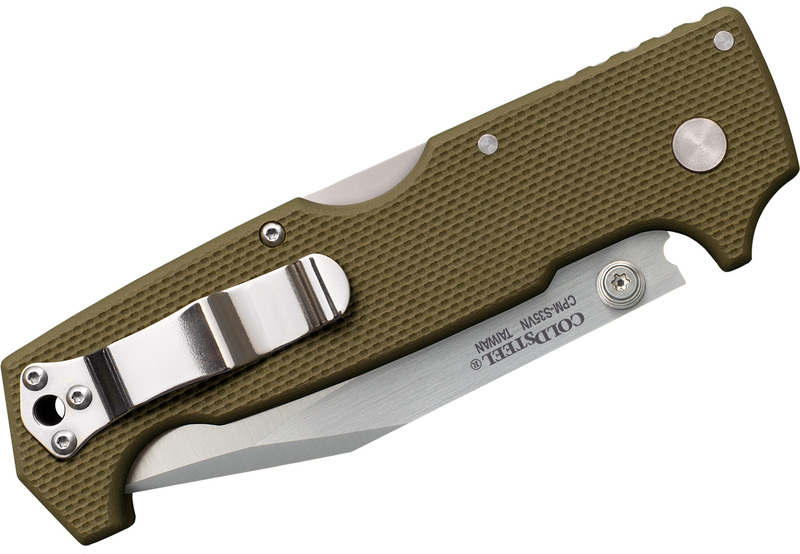 I hope Cold Steel makes this knife and a 5-inch version too and skelotonise the internal liners! This knife is SUPERB! 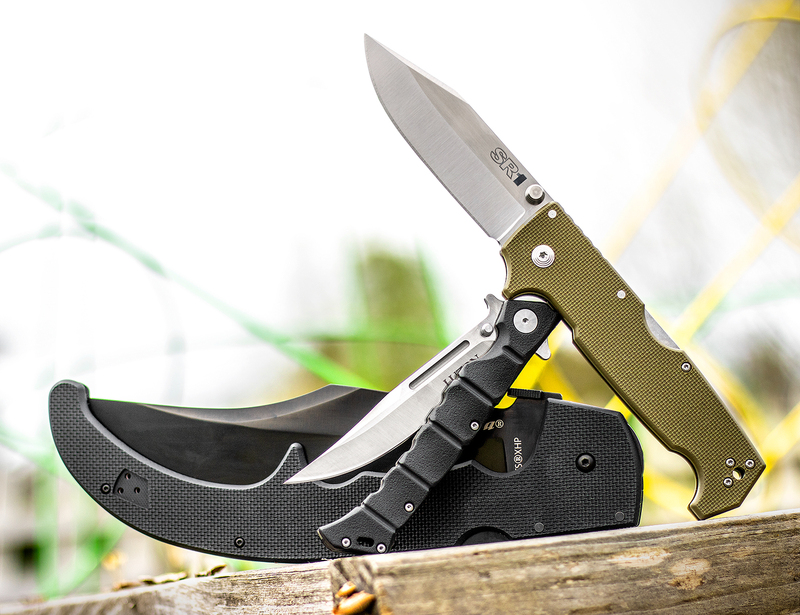 This knife is as strong as strong is going to get with a folder and it's also a beauty as well. Would love to see an XL version of this with a 5 1/2" blade like the XL version of the Recon 1, Espada, etc. I like the higher quality steel too, well done once again Cold Steel! I own another knife from cold steel and with purchase I am also satisfied. The knife is well built but not too heavy compared to other knives that I have. The locking mechanism seems solid and won’t fail easily. The only concern is the clip which does keep the knife on the pocket but one has to practice to get it out quickly! Hey, I wanted to share "Cold Steel 62L SR1 Folding Knife 4 inch S35VN Clip Point Blade, OD Green G10 Handles" with you from KnifeCenter.